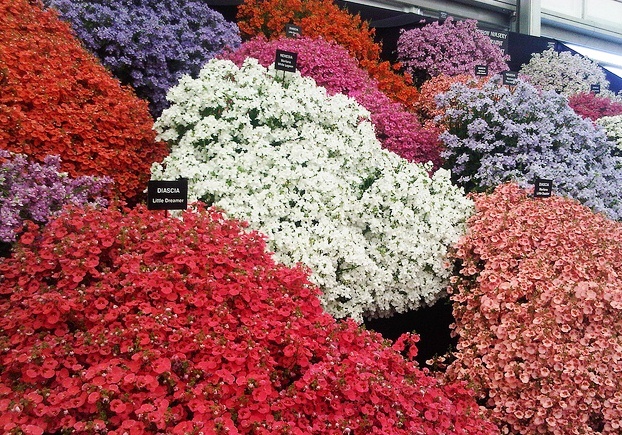 Diascia is a small genus of low-growing annuals and perennials that bloom in all shades of peach, pink, mauve, magenta and purple. Most species are excellent bloomers that give stunning display of colorful flowers in spring and summer. These small ornamentals are perfect choice for containers, window boxes, borders and rockeries for their small size and prolific flowering. Most species of Diascia are low-growing and sprawling plants that are perfect for filling empty spaces in gardens, landscapes, containers or windows. These small plants bear small, oval leaves of dark green colors. The unusual flowers have two horns or spurs below them that give them their common name ‘Twinspur’. Originally native to South Africa, Diascias are grown in many tropical and sub-tropical regions of the world where they grow under full to partial sun. These small ornamentals are usually grown from seeds and used as container plants for summer flowering. Most species of Diascia prefer regular watering and a slightly acidic and well-drained soil. Diascia integerrima (Pink Adobe) – A small perennial (up to 450 mm) with pink flowers that bloom almost through the warm months. 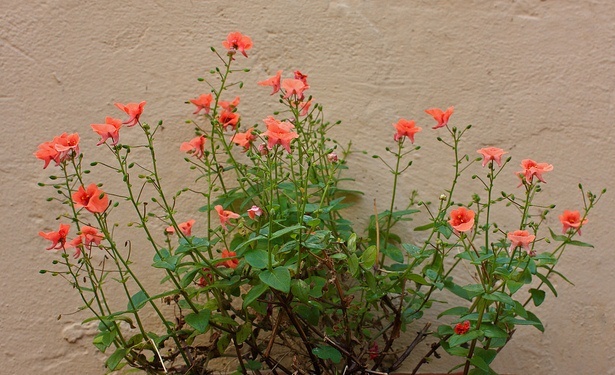 Diascia ‘Sun Chimes Coral’ – A popular variety growing up to 1.5 feet with attractive coral-pink flowers. Diascia ‘Whisper White’ – Another popular hybrid with pure white flowers. Diascia ‘Dew Drops’ – A popular variety among horticulturists; produces beautiful white flowers with a yellow center.